Deal could be announced this month, according to Reuters. 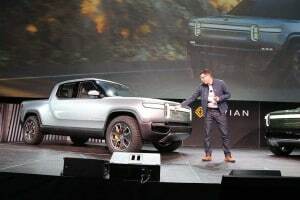 Rivian founder RJ Scaringe showed off the the R1T all-electric pickup at the LA Auto Show. Battery truckmaker Rivian Automotive is reportedly in negotiations with both Amazon and General Motors on a deal that could be worth as much as $2 billion. The deal would give the two companies a minority stake in Rivian, a start-up based in the Detroit suburb of Plymouth, according to a report on Reuters. The proposed deal could help GM, in particular, add a battery-electric pickup to its line-up, something archrival Ford Motor Co. has said that it is already working on. A senior executive at GM last month told TheDetroitBureau.com that the carmaker is “considering” an all-electric truck. Exactly what Amazon might have in mind is uncertain, though the company has been expanding into numerous new business lines. According to the Reuters report a deal between Rivian, GM and Amazon could be announced this month. Separately, a source has indicated to TheDetroitBureau.com that something could happen as early as the coming week, though it was unclear whether that would involve either GM or Amazon. The Rivian R1T pickup will boast 400 miles range, according to the company. 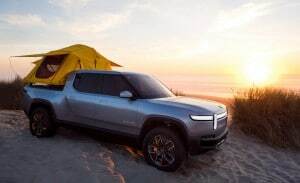 Rivian has been working on electrified trucks for several years and showed off two prototypes at the Los Angeles Auto Show in November. They included the R1S sport-utility vehicle and the R1T, a full-size, all-electric pickup. Both vehicles will use the same “architecture” and, at least initially, will feature 180 kilowatt-hour battery packs, almost twice the size of the largest pack currently offered by Tesla. That will be more than enough to deliver a range of 400 miles under optimal conditions, according to Rivian CEO RJ Scaringe. Performance will rival a Tesla Model X SUV with Ludicrous Mode, Scaringe claiming the two trucks will hit 60 in 3 seconds and 100 in less than 7 seconds, with a top speed of 125 mph. They will, meanwhile, be able to tow up to 11,000 pounds. Rivian has been known to be looking for funding. And, though it has acquired the old Mitsubishi assembly plant in Normal, Illinois, it was not clear whether the company had the funding or expertise to actual produce the two battery trucks on its own. Amazon has not returned a call for comment on the report. A spokesman for General Motors released a statement saying, “We admire Rivian’s contribution to a future of zero-emissions and an all-electric future.” That spokesperson declined to offer further comment on the reports of a deal with Rivian, though another source said they did not believe the news was accurate. 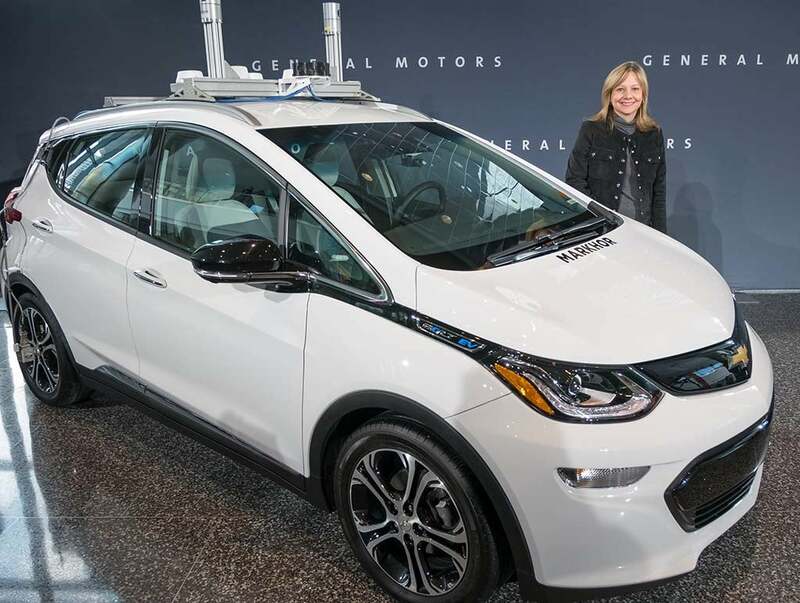 While a tie-up with Rivian hasn't been confirmed, what is certain is that GM CEO Mary Barra is committed to electric vehicles. What is clear is that GM CEO Mary Barra is a major proponent of electrification. In fact, much of the $6 billion the automaker hopes to save from its ongoing restructuring will be used to fund development of both electrified and autonomous vehicles, she noted last November. GM is already offering one long-range vehicle, the Chevrolet Bolt EV, and plans to begin rolling out more than 20 others, starting in 2021, it announced in January during a news conference ahead of the North American International Auto Show in Detroit. After Ford announced last month that it was working on an all-electric pickup, TheDetroitBureau.com asked Duncan Aldred, the general manager of the GMC truck division if General Motors would follow suit. Whether that path includes a partnership with Rivian remains uncertain. This entry was posted on Tuesday, February 12th, 2019 at and is filed under Auto Shows, Automakers, Automobiles, Business, EVs, Electrified Vehicles, Financials, Ford, Fuel Economy, GM, GMC, Investors, Los Angeles, Pickups, Rivian, Sales, Technology, Trends. You can follow any responses to this entry through the RSS 2.0 feed. Both comments and pings are currently closed.